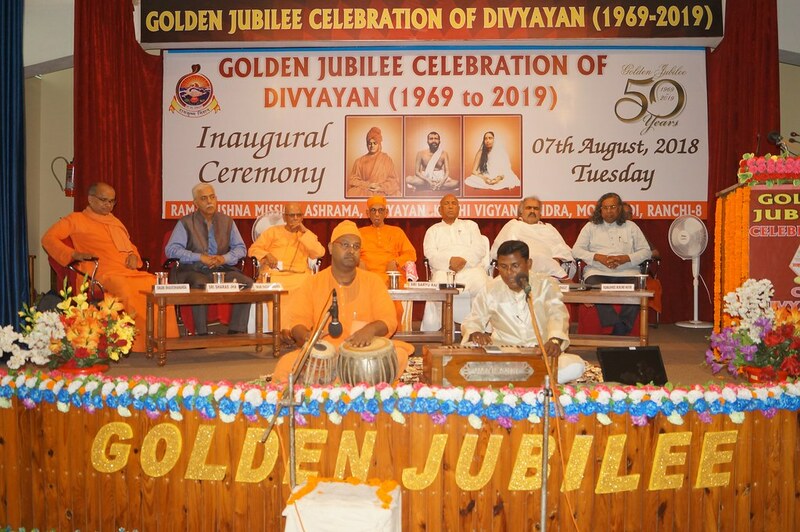 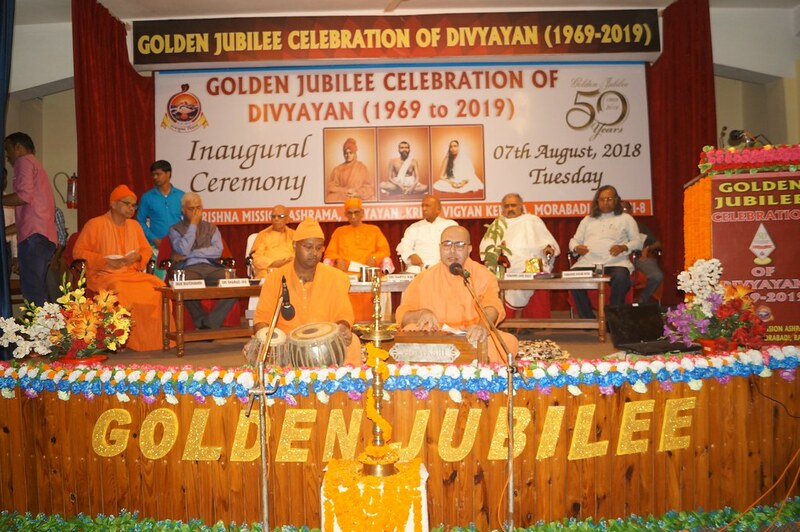 The Golden Jubilee Celebration of Divyayan Krishi Vijnan Kendra, a unit of Ramakrishna Mission, Morabadi, Ranchi, was organised on 7 August, 2018. 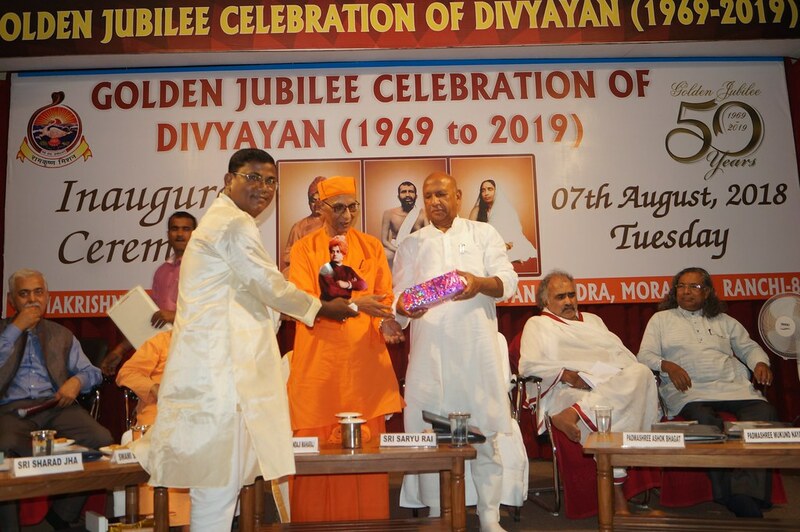 Most Revered Srimat Swami Suhitananda ji Maharaj, Vice President, Ramakrishna Math and Ramakrishna Mission inaugurated the Celebration by lighting the lamp in gracious presence of Sri Saryu Rai, Hon’ble Minister of Parliamentary Affairs and Food and Supply Department; Swami Shashankananda, Former Secretary of the Ashrama; Padmashree Ashok Bhagat, Secretary, Vikas Bharti, Ranchi; Padmashree Mukund Nayak, Famous Folk song and dance artist, and Sri Sharad Jha, CGM, NABARD, Ranchi. 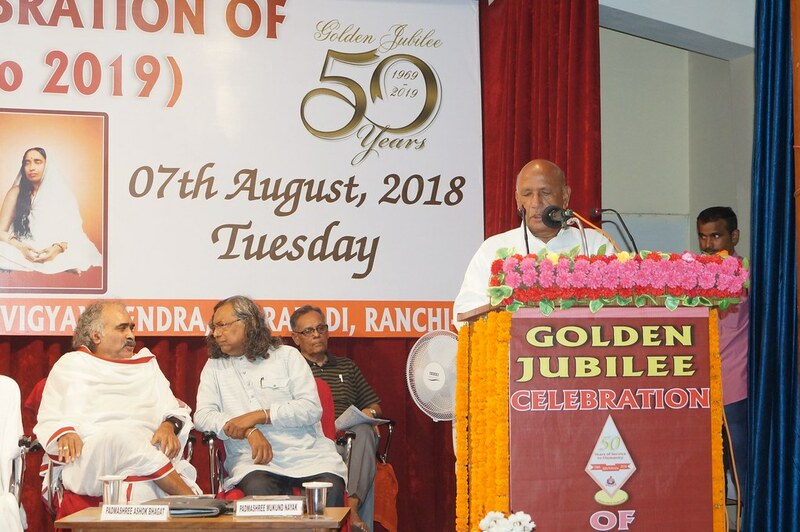 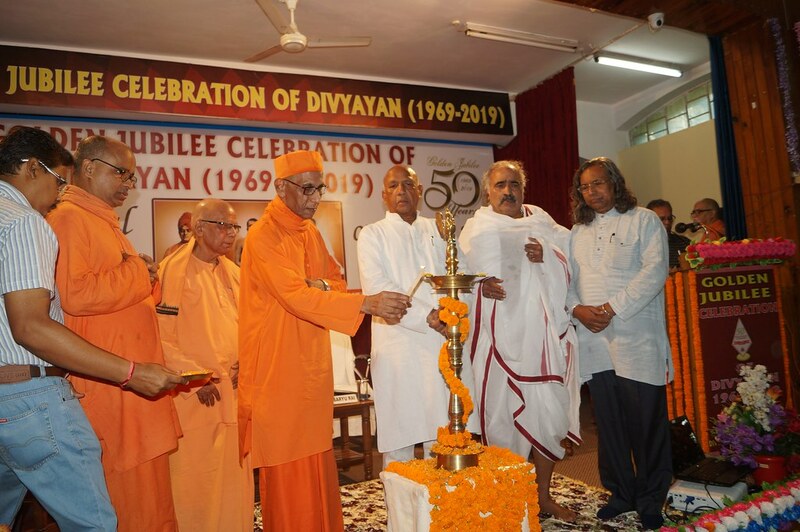 Dr. Ashok Kumar Jasu, Former Programme Coordinator of Divyayan Krishi Vigyan Kendra and Honorary Dean of Ramakrishna Mission Vivekananda Education and Research Institute (RKMVERI), Ranchi faculty centre presented the achievements of Divyayan in last 50 years. 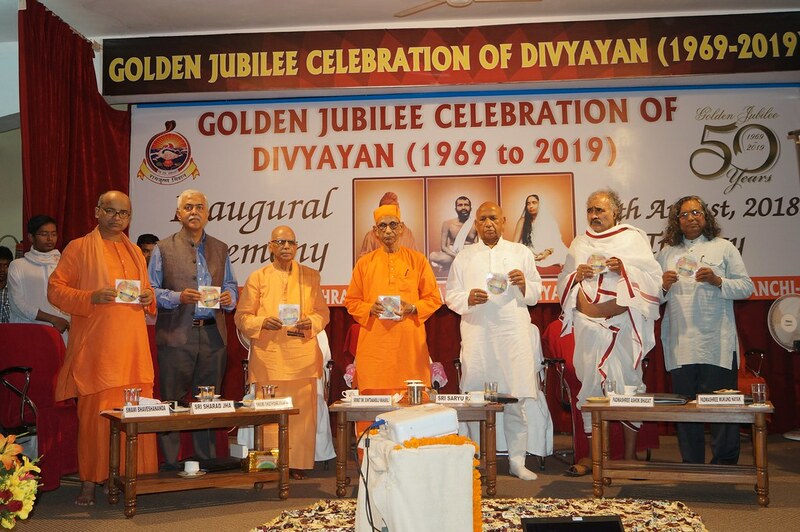 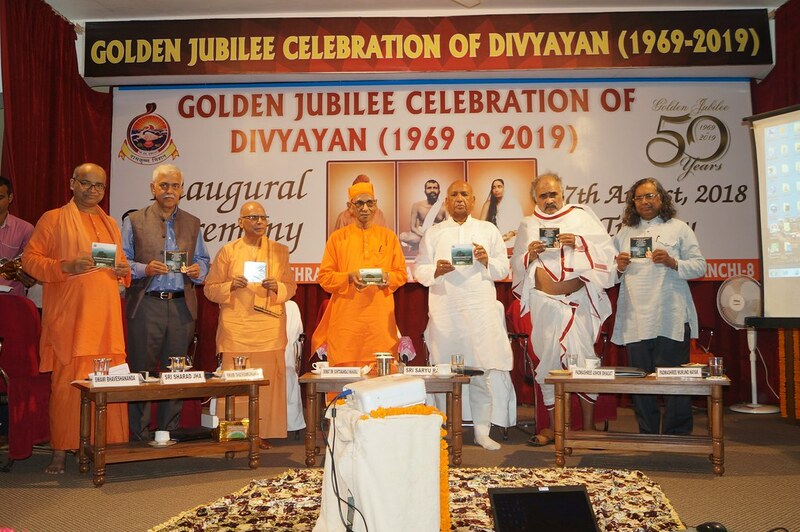 A video CD under the title “Divyayan Ki Utkarsh Gatha” and an audio CD in Nagpuri language based on Swamiji’s message under the title “Uthu Jagu!” was released on the occasion. 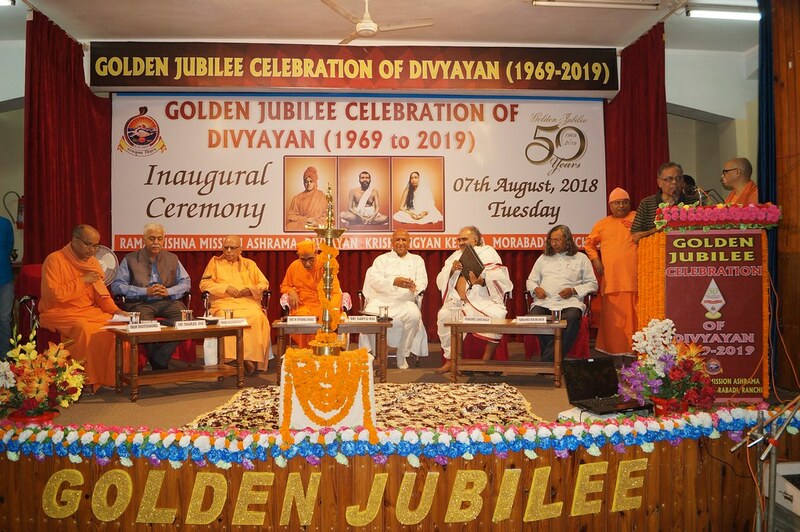 The programme was attended by the representatives of Vivekananda Seva Sanghas, Faculty members, Staff members and Trainees of Divyayan and students of RKMVERI.